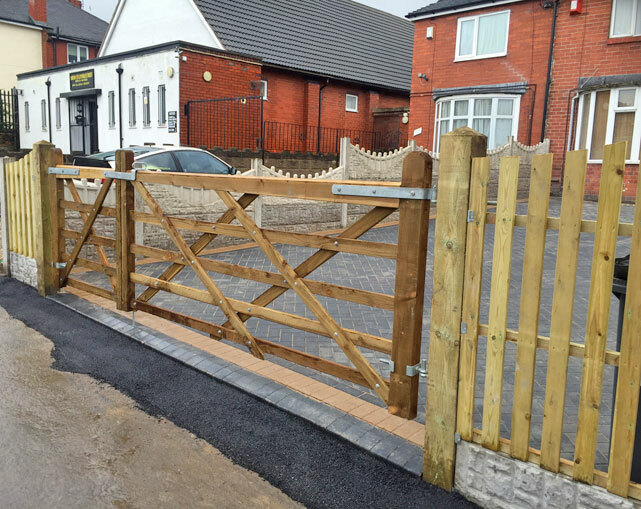 Here at Wulstan Fencing we manufacture single and double gates in many different styles because they are all bespoke made to measure. we have fitted many in stoke on trent, staffordshire and cheshire areas. We have started to make the gates in untreated and treated wood because they both have pros and cons: treated can warp and split more but will not rot as quick, untreated will not wrap and split as much but they can rot quicker but they will ok if you keep treating them we supply only or supply and fit on the gates we have many different wooden posts for the gates going from 3”x 3" to 8”x 8”we use proper galvanised fittings for our standard garden gates. 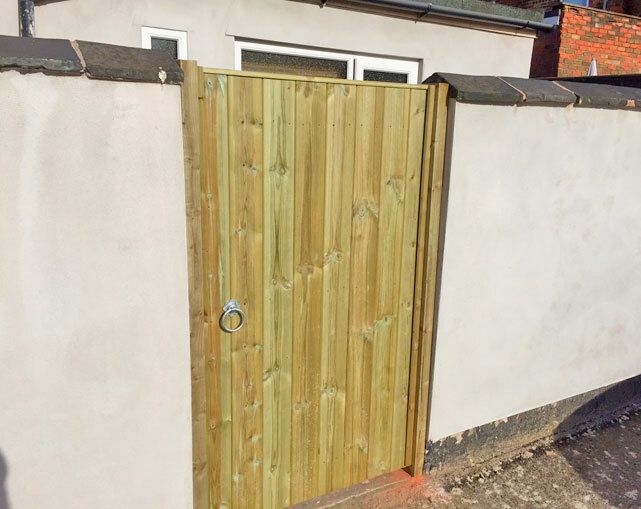 Standard close board gate which is like your fence panel so they match 3x2 fully framed (screwed together) then the feather edge boards are nailed onto the front of the rails, then we do the same style in the tong and groove both of these you can have in a straight top or arch top and in any size you want. We do a really heavy duty wooden gate for when you use them a lot or you want to set off the front of your house with a decorative driveway gate also we can have these automated as well with fobs and telecom and safety features as well. 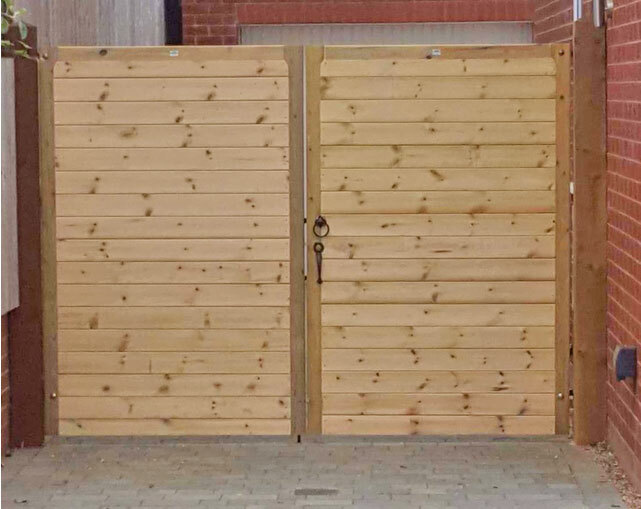 these gates are mortise and tenon joints and made out of a thicker wood which makes them stronger these can come in treated to untreated wood.